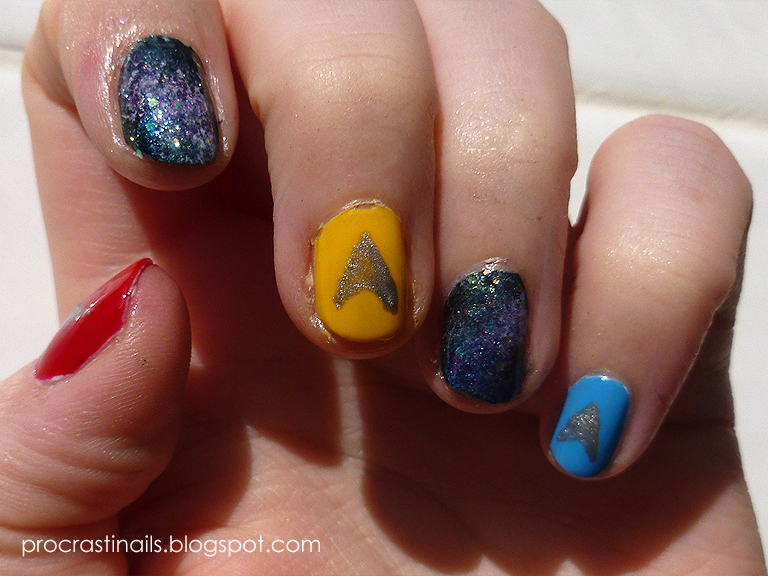 So today's regularly-scheduled Game of Thrones nails have been pre-empted by another, equally nerdy design... Star Trek nails! My friend Jill asked me to do something she could wear to Toronto ComicCON this weekend, and considering that one of the things she was gonna do was attend a Star Trek panel this is what we ended up with. Enjoy! 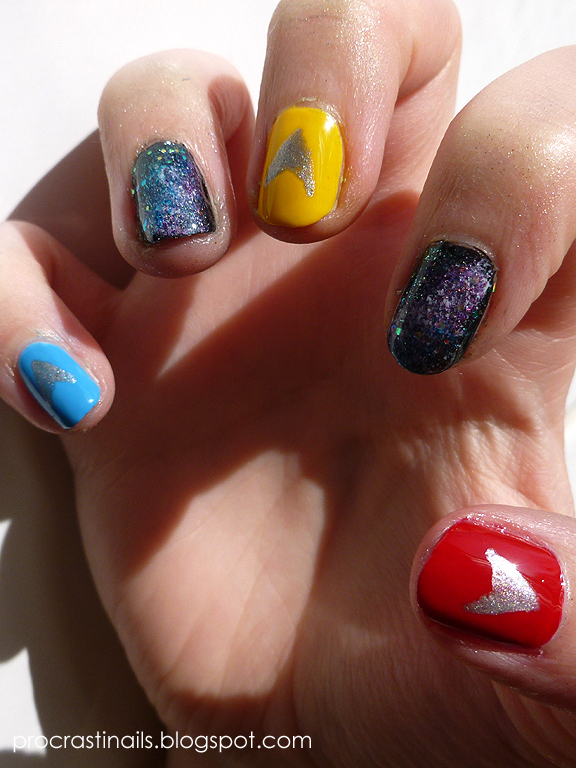 The three nails done up in the branch uniform colours with a simplified design of the communicator badge in the centre were the easy part of planning this design, but it took us some time to decide what to do with the remaining nails. In the end I decided to (finally) try my hand at galaxy nails. 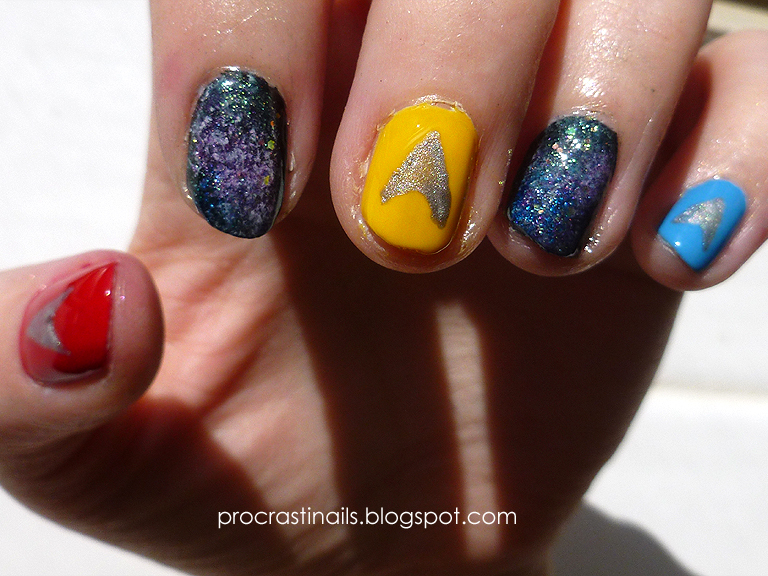 Makes sense, right? 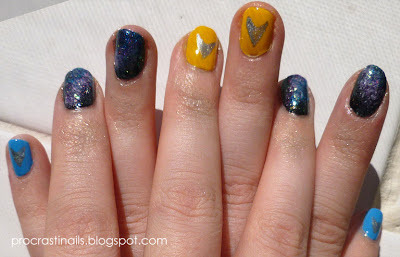 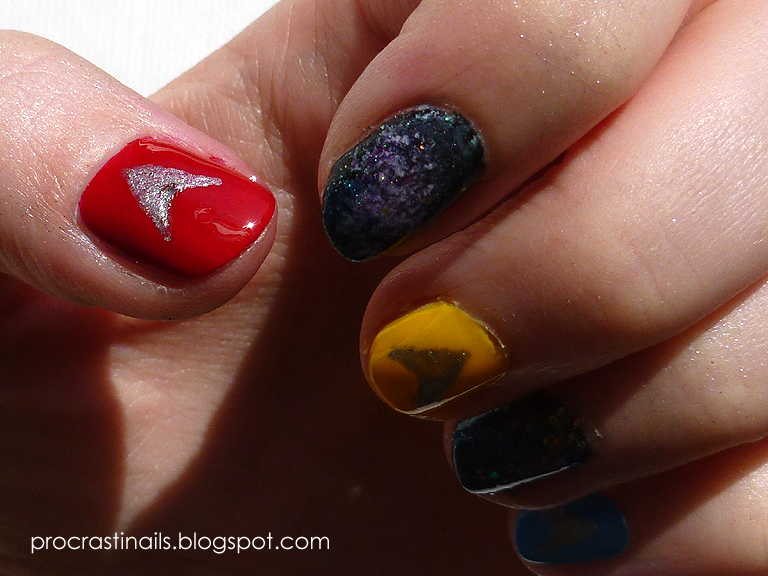 Star Trek = space = space nails! 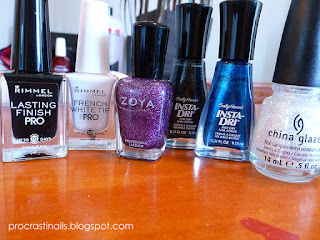 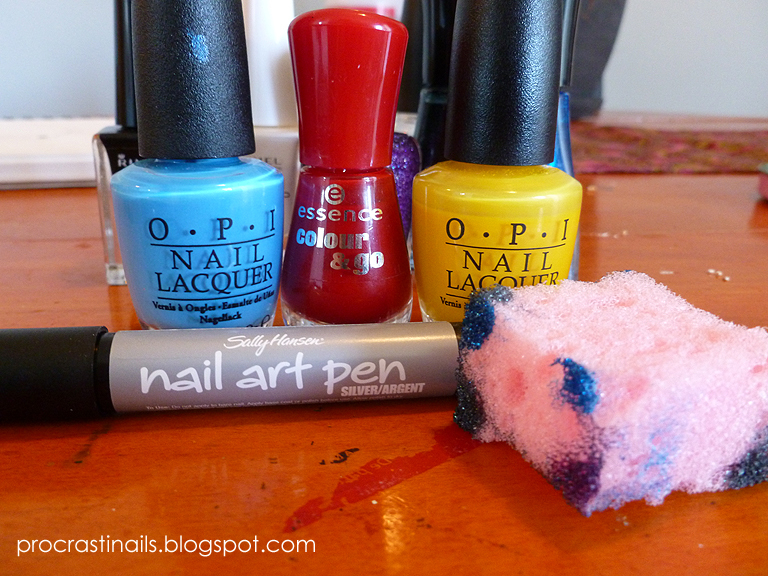 - Sally Hansen Insta-Dri's Freeze!